Will Lance admit to doping? 4-Jan-2013 by THF in Hoot's Corner | Comments Off on Will Lance admit to doping? Will Lance finally do the right thing, come clean, and admit what he’s been doing to win all those awards?Â Â Kids need a clear message from role models like him that cheating does not pay. 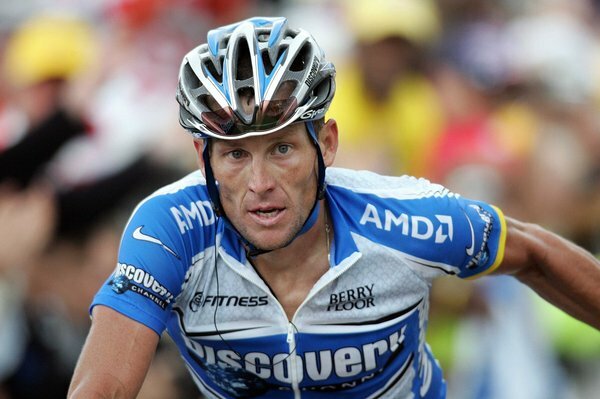 When asked if Armstrong might admit to doping, Tim Herman, Armstrong's longtime lawyer, said: "I do not know about that. I suppose anything is possible, for sure. Right now, that's really not on the table." Several legal cases stand in the way of a confession, the people familiar with the situation said. Among the obstacles is a federal whistle-blower case in which he and several team officials from Armstrong's United States Postal Service cycling team are accused of defrauding the government by allowing doping on the squad when the team's contract with the Postal Service explicitly forbade it. Although Herman said such an option was not currently on the table, the people familiar with the situation said Armstrong, 41, was in fact moving toward confessing and had even been in discussions with the United States Anti-Doping Agency. Armstrong had met with Travis Tygart, the agency's chief executive, in an effort to mitigate the lifetime ban he received for playing a lead role in doping on his Tour-winning teams, according to one person briefed on the situation. None of the people with knowledge of Armstrong's situation wanted their names published because it would jeopardize their access to information on the matter. The timeline for Armstrong's deciding whether to confess is unclear, but it is partly based on whether the United States Justice Department will join the whistle-blower lawsuit, which was filed under the False Claims Act. The sole plaintiff of that lawsuit is Floyd Landis, Armstrong's former Postal Service teammate who was stripped of the 2006 Tour de France title for doping. If the Justice Department also becomes a plaintiff, the case would be more formidable than if Landis pursued it alone. Landis stands to collect up to 30 percent of any money won in the case, which could be in the millions. The team's contract with the Postal Service from 2000 to 2004 was more than $30 million. The company withheld that $5 million bonus from Armstrong after he won the 2004 Tour because of doping accusations that surfaced in the book "L.A. Confidentiel: Les Secrets de Lance Armstrong," which was published in France. Armstrong sued the company, and the case was settled for $7.5 million. "He's doing O.K. for a guy that has had his livelihood and his life torn from him, but he's very strong," Herman said.